Beautifully done with tiny flower blossoms surrounding the edges of the doily. The lace is more tightly woven in the middle but more loosely woven around the edges. More of a honeycomb woven lace. Size: 20 inches(50.80cm)round. Measured from side to side through the middle. 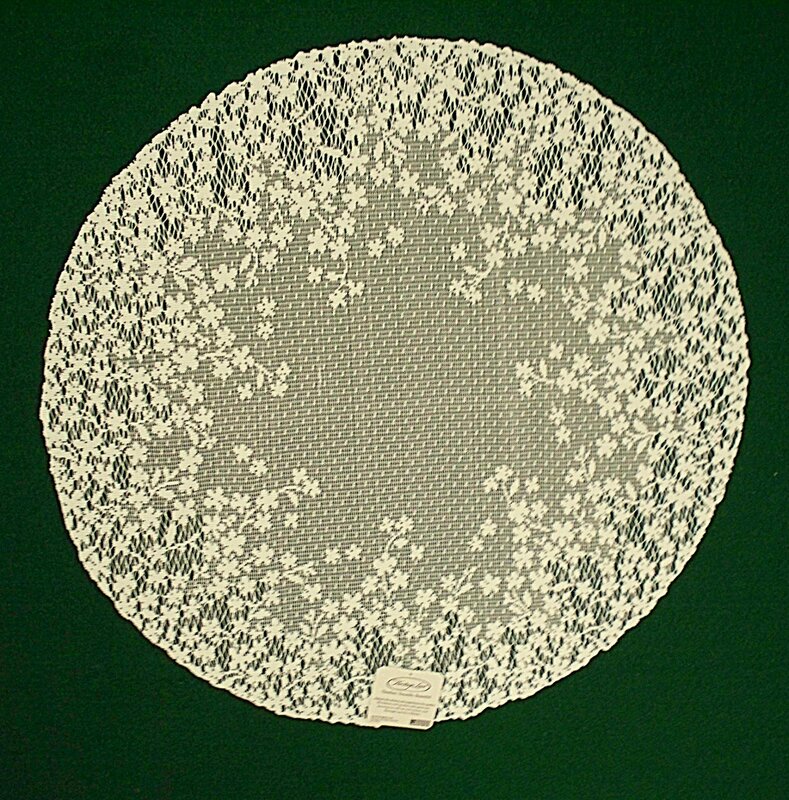 Not a small doily at all. Care: Machine wash cold-gentle cycle. Lay flat or hang to dry.